This app lets you bring in all the details and info about your customers that you have in your Salesforce CRM, into your Freshdesk account for ease-of-use. 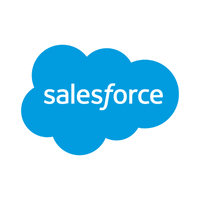 For businesses using Salesforce (for sales) and Freshdesk (for support), most of their customer details such as plan, revenue, LTV, Geo, account owner, title, billing etc are stored in Salesforce, support reps find it hard to switch between tools to get the required info while resolving customer issues. Salesforce app saves the time and effort of the support reps, by automatically bringing the customer's contextual data stored in Salesforce right into Freshdesk. 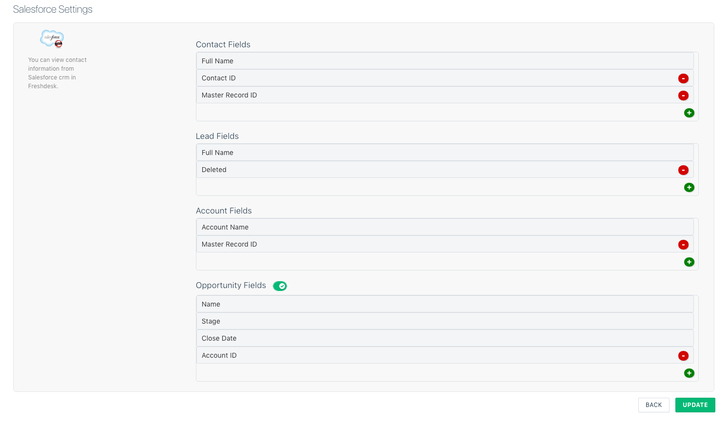 What kind of Salesforce data can be viewed in Freshdesk? Its all done now. 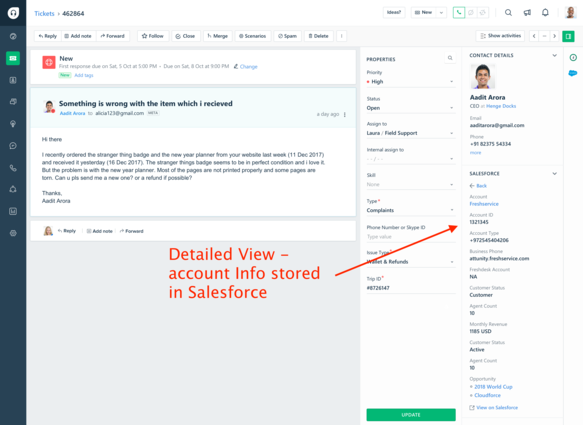 Go to ticket/contact detail page to seamlessly view your customer's data stored in Salesforce right into Freshdesk.